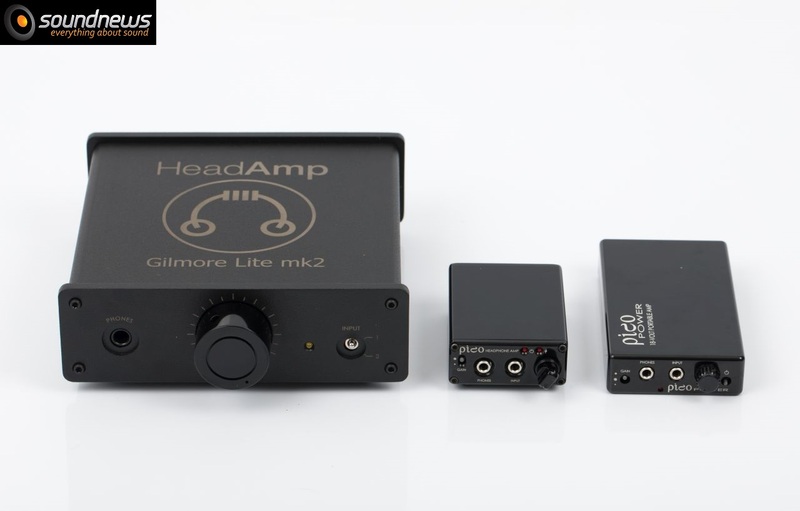 Acasă Casti HeadAmp Gilmore Lite Mk2 – Superlative design and performance! 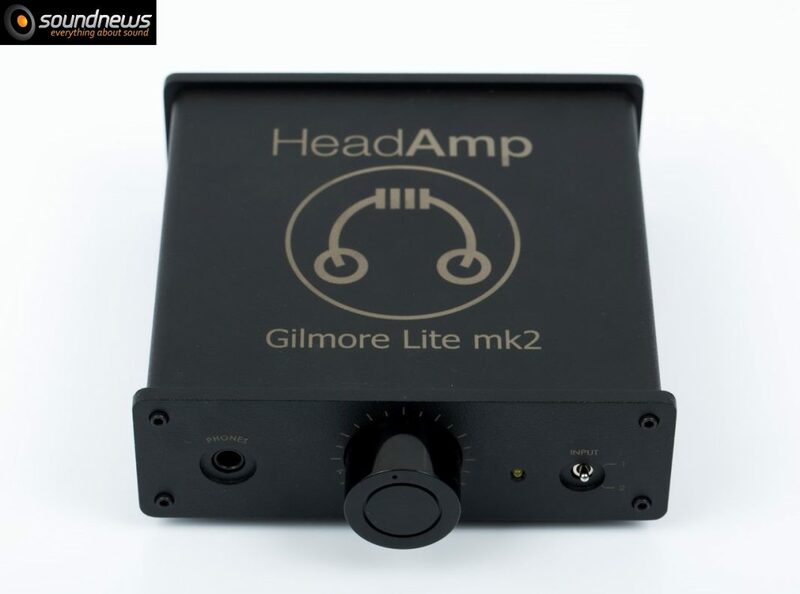 HeadAmp Gilmore Lite Mk2 – Superlative design and performance! Before I start with my actual review I would like to tell you a short story. A little bit over 11 years ago when I decided to invest in this wonderful hobby, headphone manufacturers but especially headphone amplifier manufacturers could be counted by fingers on a hand. In top 3 of those manufacturers there is an American company that I mentioned many times in my reviews, and that is HeadAmp Electronics. My first contact with this company was the moment when I wanted to have the smallest most performing DAC and headphone amplifier, both cramped into a case smaller that a pack of cigarettes and that device became HeadAmp Pico. Thanks to that device I gave up on my desktop DAC that I was using and to my desktop headphone amplifier, only because with my Grado RS-1i that I was using at that time, the tiny Pico sounded (much) better than those two bigger boxes put together. There were many times when I would just lift it off the table and just stare at it for minutes in a row, design is simply perfect, it was far beyond what I had seen before! A couple of years later I decided that I want the best portable headphone amp on the market, I didn’t want it to be only very powerful, capable of driving big and inefficient headphones, but I wanted it also to have a very transparent and revealing nature as possible. So a few months later I became the happy owner of the famous Pico Power. I still use it today; it’s actually my reference to which I compare any other portable headphone amplifiers that goes through my hands. No wonder because until this day it has the best measurements ever recorded in the category of portable or desktop headphone amplifiers. Here it is in a family photo with his younger brother Pico and his bigger brother Gilmore Lite Mk2. During these years, I have begun to have a tremendous respect for this brand, but also a great deal of confidence in what they do, unfortunately rarely encountered in these lands. As far as I know, they produce among the best balanced headphone amplifier on the market today: GS-X Mk2 and also the best electrostatic headphone amp available on the market: Blue Hawaii Special Edition (BHSE for short). 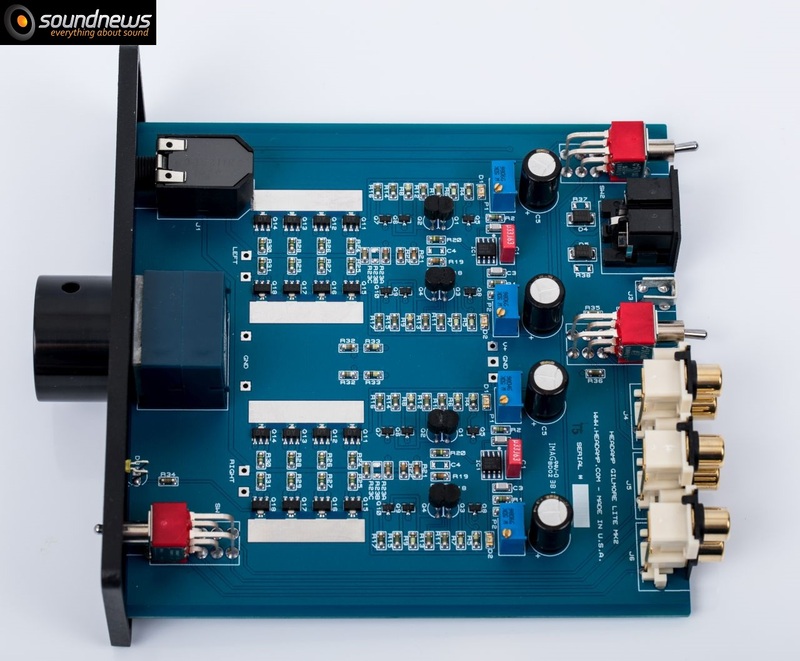 Unfortunately, I cannot afford the GS-X Mk2 balanced amplifier, maybe one day I will test it too, who knows? 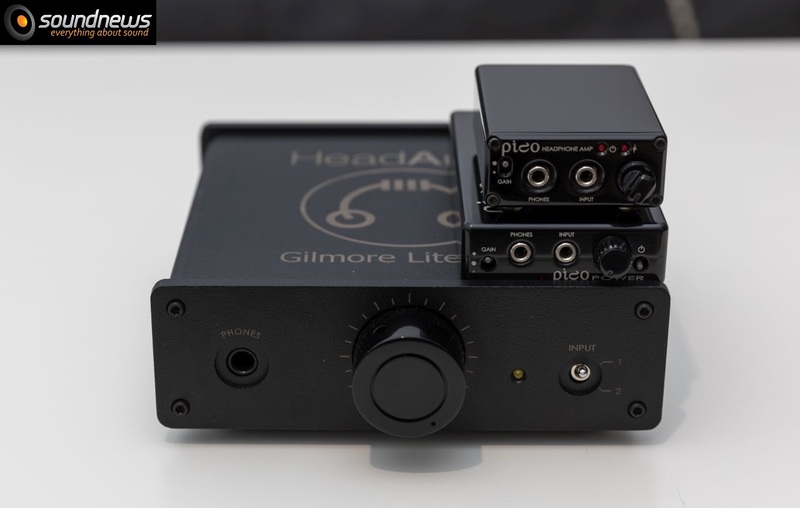 Today I will test a newly released desktop headphone amplifier, much more accessible than the balanced version and that is the HeadAmp Gilmore Lite Mk2. 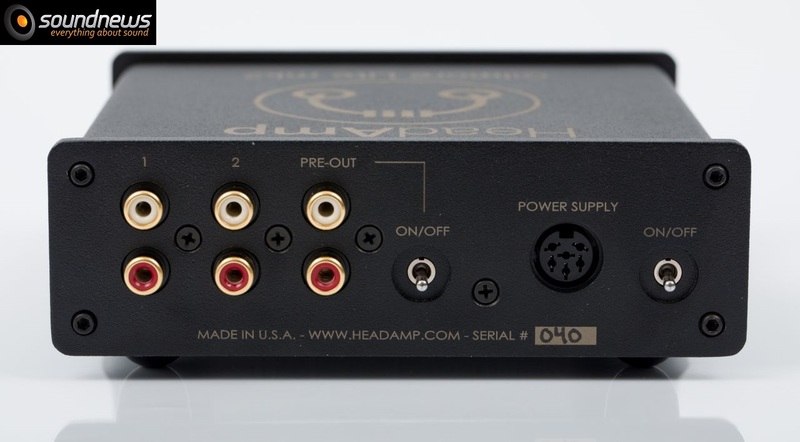 Like the other amplifiers developed by HeadAmp, the quality of the construction is impeccable. 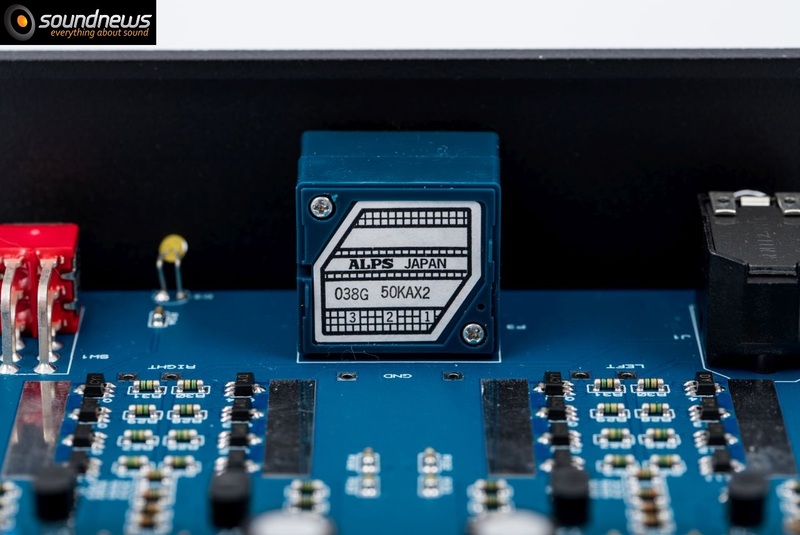 The amp has a small footprint and uses an external regulated power supply to stay away from noise; however there might be a possibility in the future for manufacturer to provide a higher performance dedicated power supply in a matching case. The best part is that this amplifier is based on the same circuitry found in the legendary GS-X Mk2 (3000 USD). 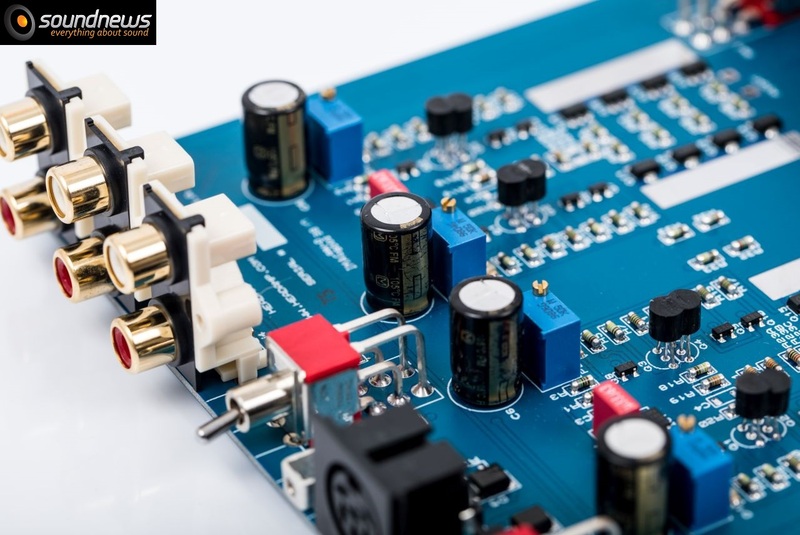 At the input ultra low noise JFETs are used, and at output bipolar transistors that always work in class A! As you can see it’s a circuit composed entirely of discrete components, there are no op-amps and no capacitors in the signal path (the four ones from the pictures below are filtering the power supply). An ALPS Blue volume potentiometer of a superior quality was used, often seen in more expensive audio gear. 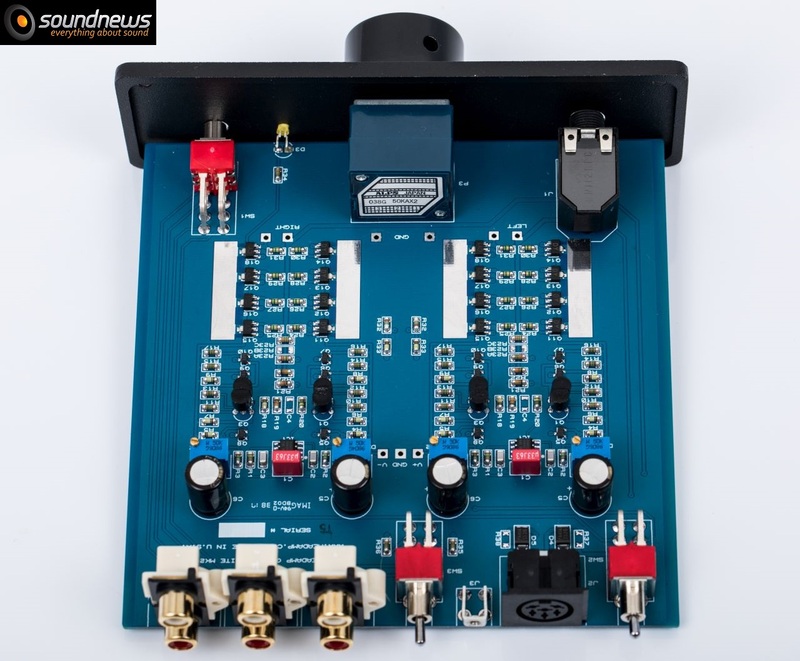 The amplifier doesn’t offer a gain switch, but sincerely there is no need for one due to a very black background. The ample power of 1.5 W and low noise levels make it perfect for both the most sensitive IEMs and for power hungry planar-magnetic headphones. Two RCA analog inputs are provided, an active preamp out on RCA and a 1/4” (6.5mm) headphone output. It looks very simple and modest but we already know that initial appearance can be deceiving. Let’s get to the most interesting part. Although compact and lightweight, the sound produced by this amplifier is big and bold, very airy and deep, contrary to its size. 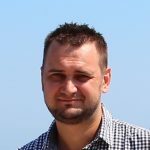 How can you describe an audio component that doesn’t have a character, which does not interfere almost at all with the sound, which virtually disappears in front of the listener? Ladies and Gentleman I think I’m witnessing the purest sound ever coming out of the Sennheiser HD660S, and I’m not just talking about single ended amplifiers, I’m talking about all amplifiers that passed through these hands. It is very hard to describe an audio component that practically disappears and does not interfere with the audio signal. Purity and transparency are second names of this device. Listening more and more I realize that I am actually listening to my audio source, my Matrix X-Sabre Pro DAC fed with lossless files and nothing else. Let’s start from the beginning step by step. Listening to Elvis Presley – Fever always puts a smile on my face and on Gilmore Lite Mk2 I was stuck in my chair for three minutes paying attention to the air that moved so easily and to those micro-details that sounded so clear and alive. Transparency is just mind blowing; the capable resolution is also superior. The very clean performance without any acoustic interventions jumps too much at me, but please do not associate it with a clinical sound, because that’s not the case at all. Often in my favorite songs I’m not looking for the ultimate resolution but for a soft bonding of the notes, that fluidity that gives sound a smooth and tireless presentation that floats lightly to my eardrums. Take for example the Dave Brubeck quartet – Take Five that sounded not only super resolving but also super liquid. The technical and full of subtlety presentation has been greatly helped by a good fluidity that binds the notes in a natural and tireless way. I think it is due to the class A witchcraft which many praise to the skies, otherwise I do not explain the phenomenon. Continuing with Pink Martini – Simpatique and Radiohead – OKNOTOK gave me the same feeling: a sound that easily breathes and a fluency that brings a touch of naturalness and unsurpassed reality. The micro-details were so apparent that I’ve heard how the mouths of the artists opened before they sang anything, the purity of the voices being unaltered in any way. Thanks to a good transparency and to a sound that easily breathes, each note is no longer impeded by anything in their way to the listener, so the impact of the notes becomes tremendous, hitting hard and heavy. 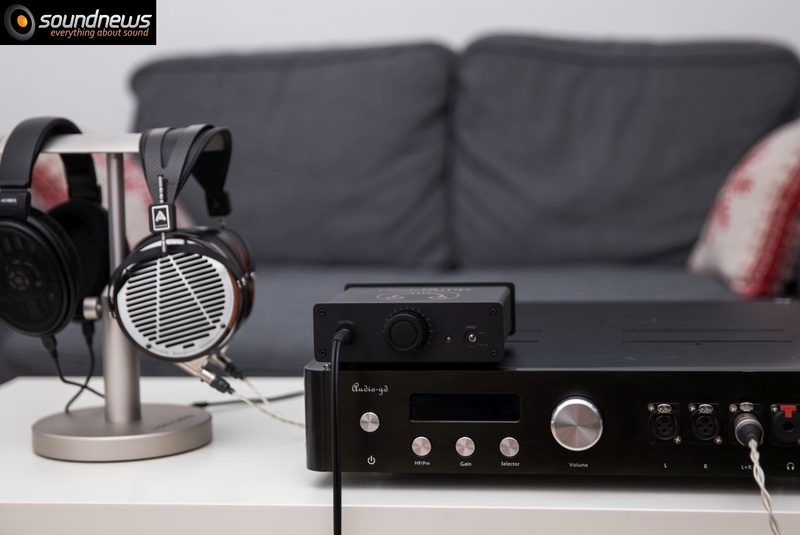 The Sennheiser HD6XX series, like my HD660S, are not known to have a reference attack or impact, but this amplifier has completely changed my mind about these headphones. Finally, I hear a serious impact that easily rivals the planar-magnetics performance. The flashing speed of the notes directly influences the withdrawal of the notes that is as quick as its rise. Listening to Infected Mushroom – Spitfire I was astonished, immediately after the first minute my ears began waving because of the stunning deep bass, impact and the speed it was capable of. 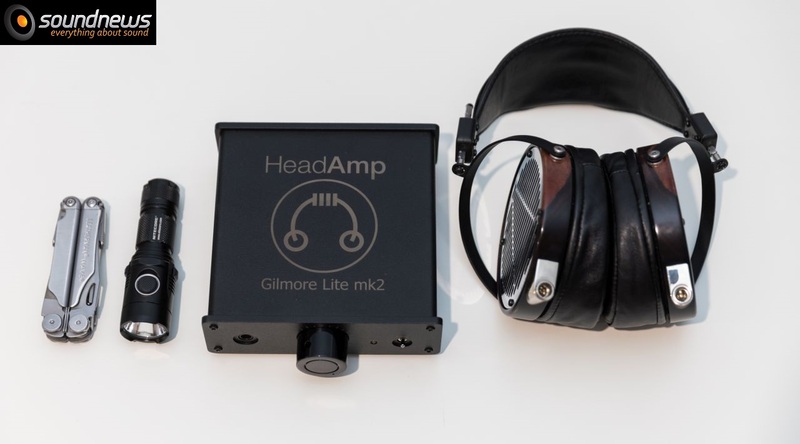 Without exaggerating, the impact of the little Gilmore Lite Mk2 exceeded any expectations, it surpassed the performance of my own balanced amplifier, I will do a comparison of the two at the end of the article. Good timing and fast transients have always been part of the company’s DNA, and this little amplifier is demonstrating it again. Besides inefficient headphones, I also used a pair of FiiO F9 PRO in-ears that are extremely efficient but also very demanding when it comes to the output quality of an amplifier. I’m glad to report that there is no background noise, the background is blacker than the night, and I can easily listen even to balanced armature based IEMs. Just take care of the volume pot as it grows exponentially from 10:00 o’clock upwards. When I was just unboxing it, I was nervous a bit that it would not be a good match with the ESS 9038 chipset present in my Matrix X-Sabre Pro DAC, but once I pushed play all my fears were gone. The lack of grain on higher notes holds under a strict control the performance of the treble; having the necessary glitter and the total lack of disturbing brightness. From the lowest sub-bass to the highest treble no ups can be heard, no downs, no dips or irregularities. Frequency response is linear, unaltered and untouched. Due to this fact, there is no fierce competition between the notes, all of them will have their moment of glory, neither one will go unnoticed. Lack of grain especially on treble as well as a higher level of transparency which the amplifier is capable of lead to a deeper performance in which I can walk imaginary more easily than ever. Soundstage width is medium to large, but not huge as in the case of balanced amplifiers, or tube based designs. Still, Sennheiser HD660S as well as Audeze LCD-4 sounded wider with much improved depth than usual. I started my day listening to some Therion – Deggial, an album in which my attention was caught by notes that surrounded my whole body. Vibration of voices heard on multiple tones made me feel goose bumps and I hummed my favorite songs for the rest of the day. If this amplifier managed to drive with authority a pair of LCD-4 then I can say it can drive any other pair of headphones. HD660S for sure doesn’t need more than this, I can add here the rest of dynamic headphones on the planet, it will be a child’s play for it. The absolute level of control over the diaphragm is very apparent, especially when I analyze under a magnifying glass a faster and more demanding song. I’ve heard an absolute control on the LCD-4 as well, but from about 90% volume and up, the amplifier started clipping and losing control. 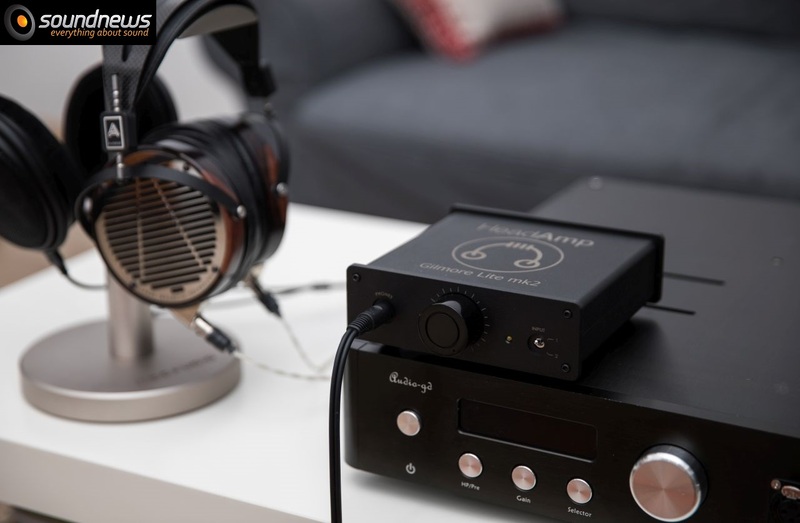 For such headphones as LCD-4 or HE-6 I still suggest a balanced amplifier with a bigger power reserve, a GS-X Mk2 would be the perfect choice for this task. I did not hear any hiss on IEM type earphones, I find it very universal. As for what headphones can be used with it, the answer is quite simple: any headphones. I made a single comparison but an important one that was a little painful in my case. You see, my reference headphone amp that I am using almost the second year is the Audio-GD Master 9: a monster machine literally and figuratively. It weights 16 kg and it occupies about 1/3 of the work space on my desk, it offers plenty of power for any headphone set, offering single ended as well as balanced outputs – a real tool that helped me testing various headphones but also helped quietly listening to the music. I considered it very transparent, agile, very sincere in terms of frequency response and also very powerful having just a slight coloration on mids. I connected the little Gilmore Lite Mk2 to X-Sabre Pro and started comparing both amps on the same LCD-4 and HD660S. The differences were not huge but Gilmore Lite Mk2 sounded even faster, executing a more impressive attack, hitting harder my eardrums. Bass notes caught a new contour and I felt it pulsating, how layers and sub-layers of bass floated towards me, a feeling that was not so apparent on Master 9. I went to bed thinking I was too tired and that I started dreaming. The next day armed with more mood and leisure I resumed the comparative test. This time around I felt that sound becomes deeper and breathes easier on the little amp, again an effect less apparent on Master 9. More than ever I felt disappointed by the transparency and micro-details extraction that was lacking on my personal amplifier, little David offered a more sincere and unaltered sound. 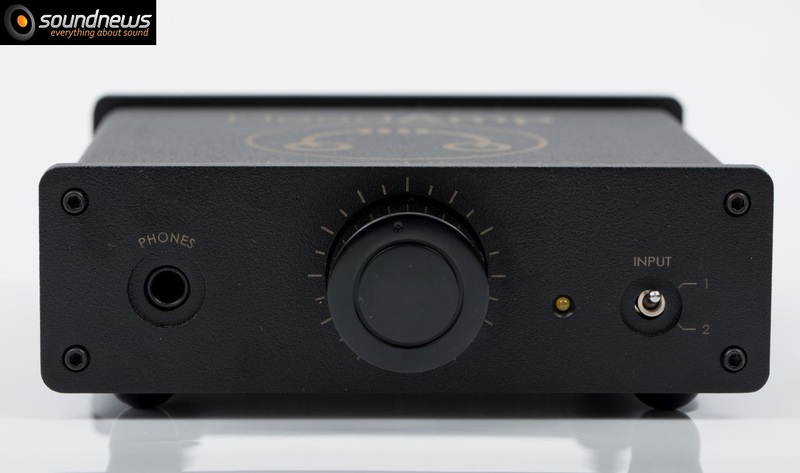 Instead Gilmore Lite Mk2 lost without the right to appeal when a higher volume was needed, Master-9 offered almost infinite power for any set of headphones and had a better control over the headphone drivers at higher volume. When I reconnected LCD-4 to the balanced output of the Master-9, audio performance plunged upward dethroning both previous performances on almost any aspect, well…except for that intoxicating transparency and micro-detail extraction that is still superior on Gilmore Lite Mk2. Even I strongly believed that a high-end amplifier with a top audio performance is impossible to achieve at less than $1000. 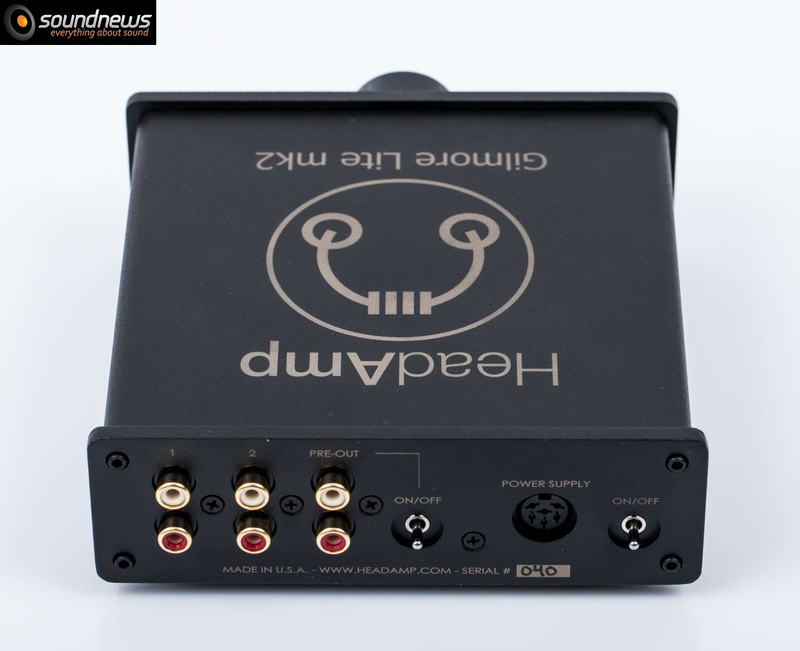 Nevertheless HeadAmp with its Gilmore Lite Mk2 proved the opposite. Really a great achievement with the Mk2 that offers a sincere and balanced sound across the board. We are talking about a truly high-end sound that does not kill your wallet and that can dance with any dynamic headphones. It will dance with majority of planar-magnetics as well, but not so well with inefficient ones. The amp receives my vote of confidence if you are interested in a single ended amplifier which does not want to add any coloration to your audio performance in any way and disappears as an audio component from the acoustic chain. There is no point in mentioning the design and the quality of the construction taken to the extreme. Impressive what was accomplished by a team of just two people, good job my friends! Articolul precedentHeadAmp Gilmore Lite Mk2 – Design si performanta la superlativ! Do you think it can drive an older HE-500 from HifiMan? Sure it can, it will actually be an easy task for the GLite Mk2. Did you have a chance to try the JDS Labs EL AMP or Element? Sadly no, never tried those, can’t help with a comparison, however I was Deeply impressed by GLite Mk2, I am actually thinking of selling my balanced amp just because of this little wonder. GLite Mk2 is miles better, mostly in terms of transparency, speed and impact. Lyr is just better on power ratings. But GLite IMO really is in another league.